Thu., Nov. 16, 2017, 8:48 p.m.
Spokane attorney Bevan Maxey will represent two Eastern Washington football players on obstruction charges stemming from an incident earlier this month in Cheney. 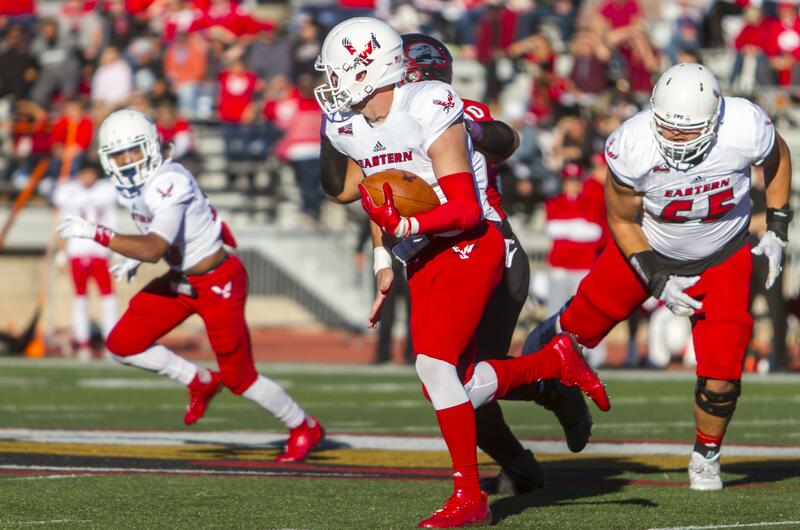 Quarterback Gage Gubrud, linebacker Kurt Calhoun and a third man, Spencer Lane, are scheduled for a pre-trial hearing on Dec. 7 in Cheney Municipal Court. Originally, the three men were scheduled for first appearances on Thursday, but that court date was canceled. It’s unclear what issues will be addressed in pre-trial motions, as Maxey was out of town for a conference and did not return a phone call asking for comment. Gubrud and Calhoun, both 22, were arrested early on the morning of Nov. 5 on charges of obstructing a public servant. According to a police report, they attempted to interfere with the arrest of Payne, who allegedly damaged property outside the Mason Jar Bake Shop and Bistro in downtown Cheney. Maxey also will represent Payne, 23, of McMinnville, Oregon. In addition to obstruction, Payne faces charges of third-degree malicious mischief. Gubrud and Calhoun were suspended for Eastern’s game last week at North Dakota. Both are expected to play in Eastern’s regular-season finale against Portland State. Published: Nov. 16, 2017, 8:48 p.m.